Whether you’re new to the club or are a returning member – Welcome! Thanks for stopping by to check us out! We have a lot of great people here, and we’re always open to meeting more! NEXterra (North East Xterra Club) is the premier Nissan Xterra based off-road club in the north eastern United States. We are a group of Nissan Xterra owners who are passionate about their vehicles and the activities associated with it. 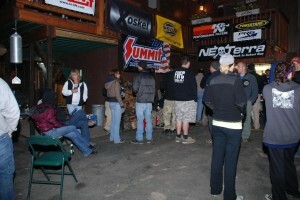 NEXterra was formed from the merger of the New England Xterra Club and the Upstate New York Xterra Club in 2005. The merger created one of the largest Xterra clubs in the United States boasting over 450 members, including 40 dues paying “Supporting Members”, and a large, active email list. In addition, the NEXterra web site, a concentrated niche of off-road enthusiasts dedicated to one model of one brand of truck in one relatively small region of the country, has averaged over 4,500-5,000 hits per month this past year. The goal of NEXterra is to help Xterra owners in the Northeast get to know each other, exchange information on where to wheel, help each other out with modifications, plan 4×4 off-roading trips, and more. While we are primarily about taking our Xterras off-road, we welcome stock Xterra owners to join the club as well, so that you can take advantage of our forum, a great place to ask about problems you may be having or to learn about after-market products available for the Xterra. We also welcome Pathfinders, Frontiers & all makes of 4WD vehicles. Please make sure you drop in on the Forums and introduce yourself!